A copy of our award-winning Annual Report: The information in the Report comes from members getting out in the field and submitting thousands of records. They are all valuable, as they help build up the big picture, as well as providing crucial data to support, for example, habitat protection campaigns. The report is free to all members (£8 incl. P&P to non-members). Bi-monthly issues of the SBSG e-Newsletter: this newsletter provides news and articles packed with information about birds in our area and the Group's activities. Website access to many thousands of records gathered during the past year, searchable PDFs of past Annual reports and Bulletins, access to all your own submitted records and much more. The chance to get involved in field-work and improve your skills: For example the recently published local Breeding Atlas came from the involvement of dozens of members surveying 2km squares. This provides comprehensive detail of the change in bird populations since the first local atlas produced by the pioneer SBSG members over 25 years ago. Make your records count, and you may find new areas for birding and new birds, such as the Dartford Warbler found in 2005! Free attendance at indoor meetings: Our ten indoor meetings offer a varied programme of speakers, from travelogues, through scientific studies from nationally-known ornithologists, to local birders on their local patch. 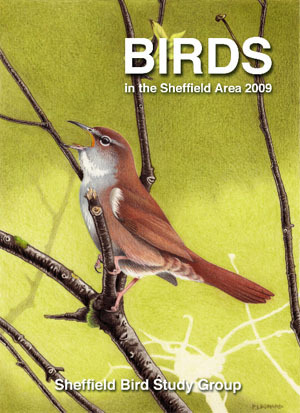 There are also occasional features on identification, local birding, and a 'What's About' slot from the Recording Team. 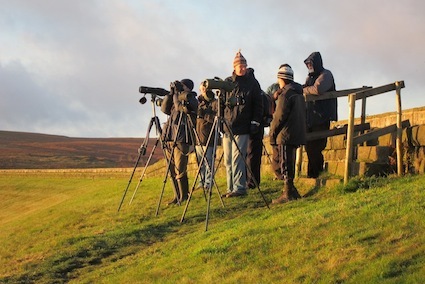 A programme of outdoor meetings:these comprise mainly free local fieldtrips to introduce members, and potential members, to local sites and their birds. You will meet fellow enthusiasts in a friendly environment: the SBSG will give you the opportunity to exchange knowledge on local birding and build your own skills and perhaps those of others. Interested? Then click here for more information about how to join the SBSG.